On the secluded Nilgiri plateau in the hill country of Southern India, there is small pastoral tribal community known as the Toda. 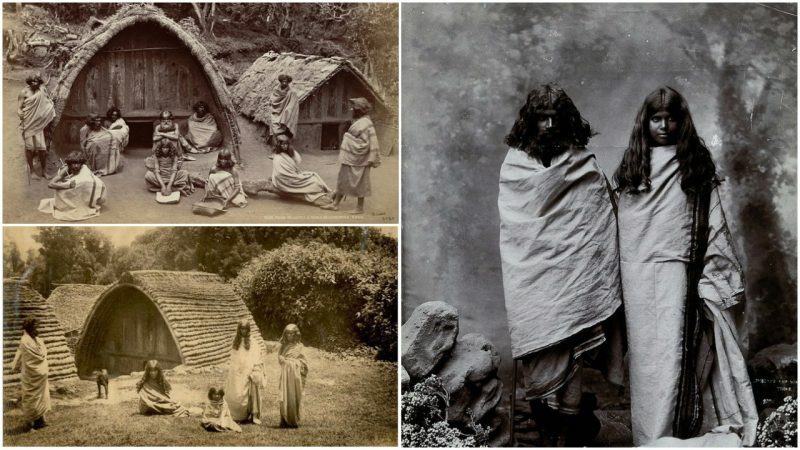 They reside in small Toda Huts, also referred to as “Toda Hamlets.” These structures, set at a distance of around 5.6 km from the mainland of Ooty, are an original representation of a Toda community still in existence. 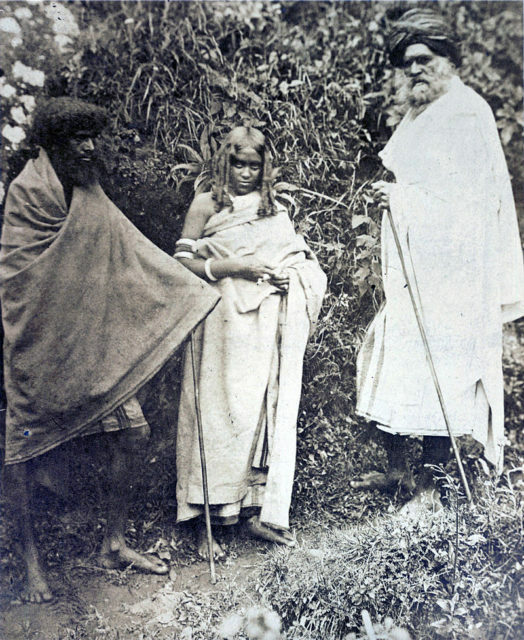 Until the 18th Century, before the British colonization of India, the Toda peoples coexisted locally with other communities, including the Kuruba and the Kota, in a loose caste-like society, in which the Toda were on top. The Toda population has drastically hovered in the range between 700 and 9oo during the 20th Century. Buffalo is the sacred animal and an instrumental element of Toda Religion. Toda faced a lot of changes in their lifestyle and culture as a result of forced interaction with other peoples with technology. Toda used to be pastoral people, while now are increasingly venturing into agriculture. 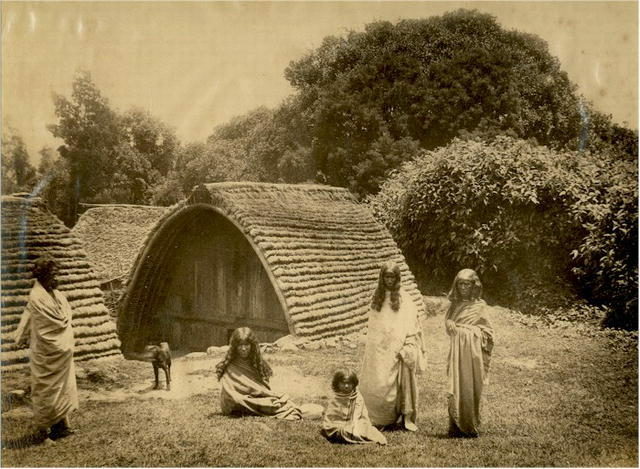 Even though the vast majority of Toda tribe are meat eaters now, they used to be strict vegetarians. 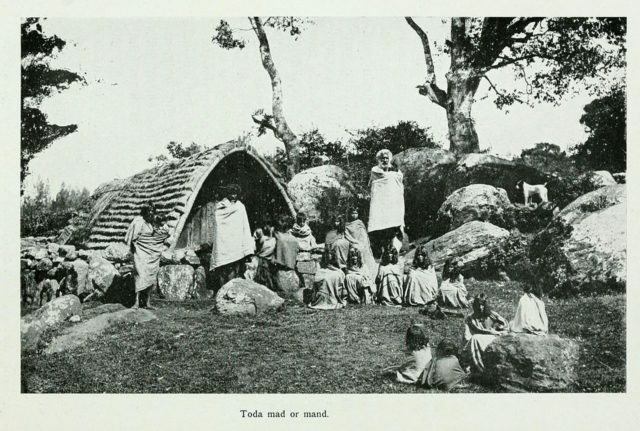 The study of Toda culture by linguists and anthropologists proved very important in developing the fields of ethnomusicology and social anthropology. 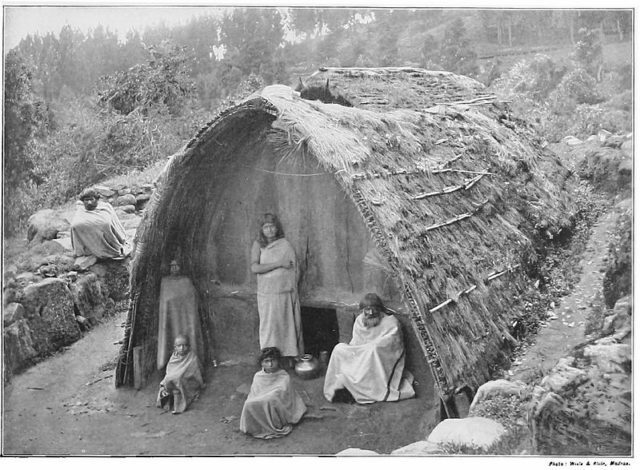 Toda people in front of their hut in the Nilgiri Hills. By the end of the 20th century, some Toda pasture land was overtaken by outsiders who used it for agriculture. This has endangered Toda society and their culture, as vast buffalo herds have been diminished. 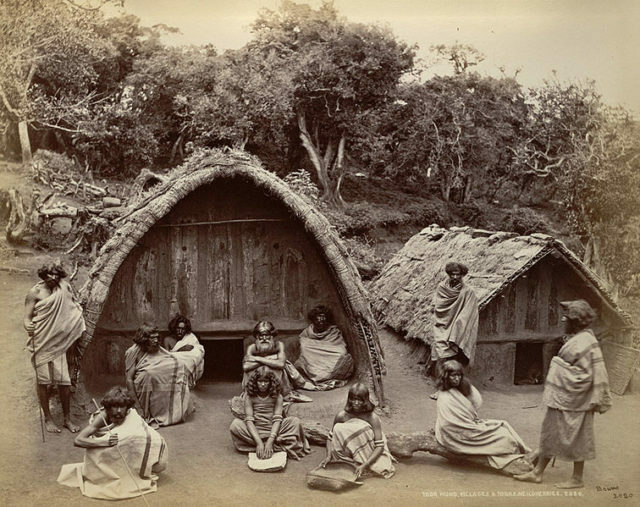 At the beginning of the 21st Century, Toda culture has been the primary focus of an international effort at culturally sensitive environmental restoration.